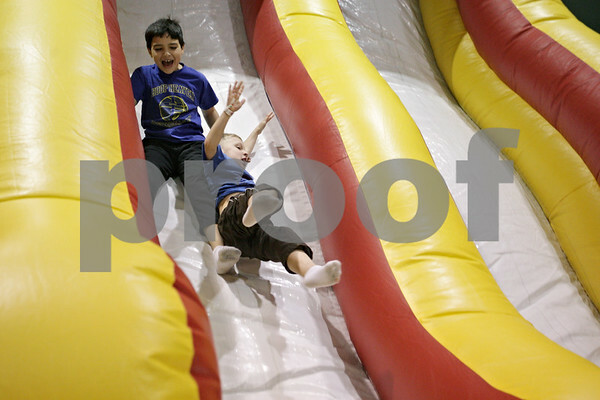 Kaden Ladas (left), 9, and Asher Larson, 6, both of Sycamore go down an inflatable slide inside the Cornerstone Christian Academy gymnasium on Friday afternoon in Sycamore. The Jumpin' Out Friday event includes five bounce houses and obstacle courses. The event is normally held every third Friday of the month, but a special Black Friday event was added this year.